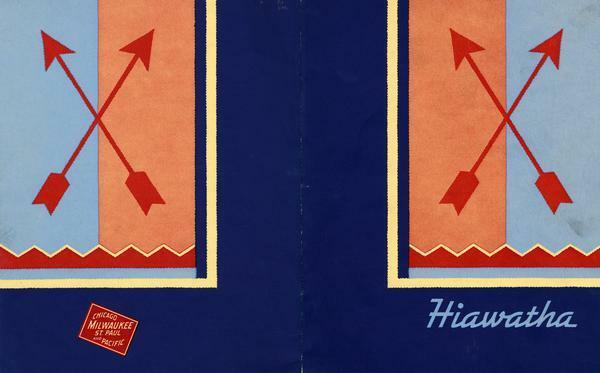 Menu of the Chicago, Milwaukee, St. Paul, and Pacific Railroads Hiawatha Line opened to show both the front and back cover. During the 1930s the Milwaukee Road introduced the streamlined Hiawatha line which was synonymous with high speed travel. The date of the menu is unknown but a passenger in the Hiawatha dining car could purchase a cup of coffee and a piece of pie for 25 cents.